Ground floor rooms are all south-facing, each with direct access to a vast terrace and lawn area, shaded by pergolas and plane trees, with magnificent views from every window. The kitchen is fully equipped to a very high standard, including a Smeg stove with a 6 ring gas hob and two electric ovens, microwave, Smeg fridge, dishwasher, large separate upright freezer. Conveniently located adjacent to the kitchen you will find a laundry room with a large double butler’s sink and washing machine, as well as a separate cloakroom and W.C. The dining room features an original provençal ceiling and exposed stone walls. It has a refectory table for indoor meals, as well as a large sofa and comfortable seating. The rooms accesses a large terrace where a variety of tables and chairs create an ideal outdoor eating area. 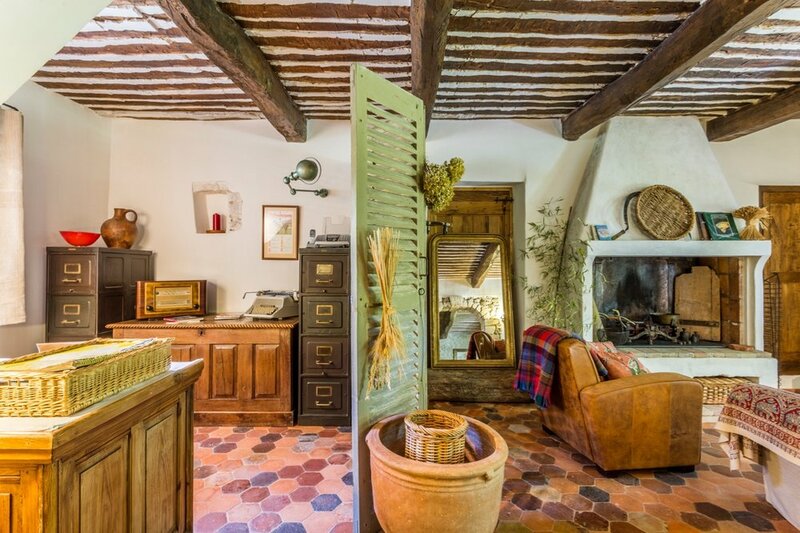 From the dining room, a stone archway leads through to a study, again with original provençal ceiling, large fireplace and welcoming sofa as well as wireless high speed internet. The room opens onto the large terrace and lawn. 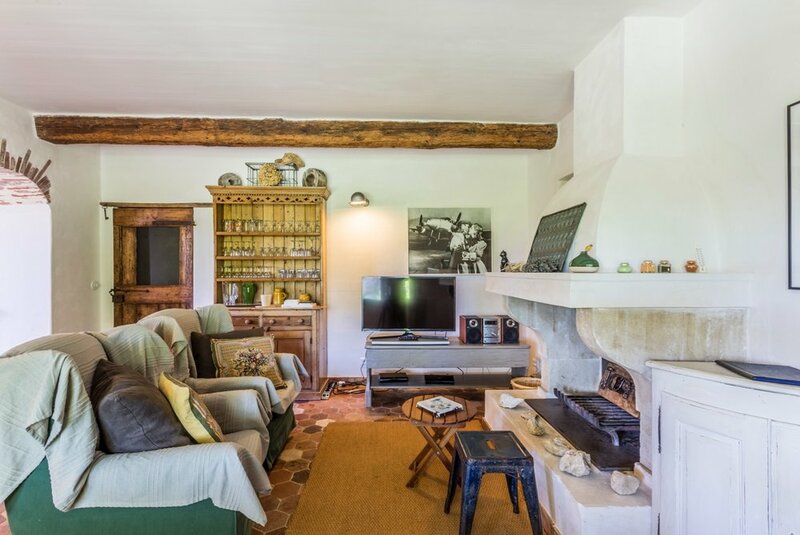 A sitting room with open provençal fireplace and comfortable armchairs completes the ground floor accommodation. Here you have access to Sky TV, Netflix, Smart TV, a dvd/cd player, books, magazines and board games. The original winding provençal staircase leads up to the sleeping accommodation on the first and second floors.